“Should we preach on catechisms or confessions as such? Only in the most exceptional circumstances. Our mandate is to preach the Word. To resort instead to expounding a human document is to confuse our people by blurring the distinction between what is normative revelation and what is to be judged by revelation. Even when creeds are inerrant (a claim that can be made for the Apostles Creed, for example), their proportion, balance, and selections of topics will not be that of Scripture. Furthermore, confessions and catechisms present doctrine abstracted from its existential context—the life-situation of Scripture—and thus obscure its practical relevance or tempt us not to apply it at all” (emphasis mine). I think Macleod brings up some great points and distinctions. While we believe that the doctrines expounded by our confessions do present the reality and truth of the Word of God, they are subservient to the Word of God. Confessions can err, and often do not contain the full reality of a doctrine. This is because they are meant to be summaries of doctrinal truth, and that is good as far as it goes. But only God’s Word is infallible and inerrant, and will not be out of proportion or balance. Another great point Macleod brings up is that when a preacher expounds the Catechism during a sermon, the doctrine contained within it is pulled from its position in Scripture, or the way it is taught in Scripture. It is more useful and relevant to preach through Scripture, to see the doctrine arise out of both didactic and narrative portions, for then we see why the doctrine matters and how it can apply to our lives. If the Catechism presents God’s truth in summary form, then preaching through Scripture will have the same effect. And the Scripture alone is God breathed. In the URC I currently attend, my pastor will expound the Catechism in an earlier part of the liturgy during the evening service, and still preach expositionally through a book of the Bible. It is amazing to see how the Catechism and confessions connect with the Word of God, but it never seems like they're taking the Bible’s place. 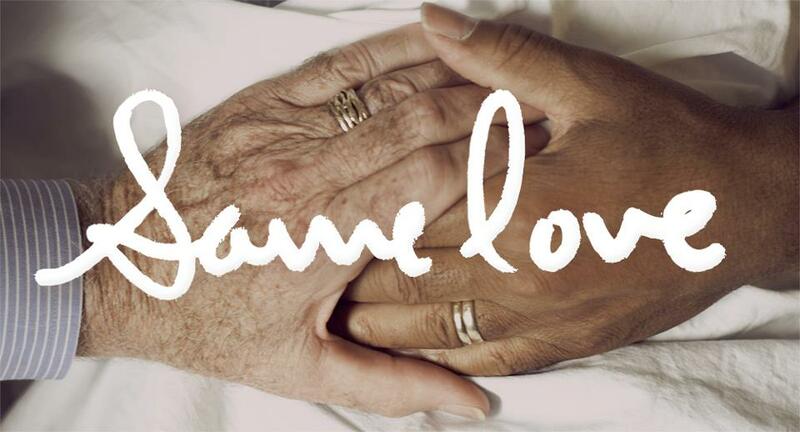 This post is a response to a song called Same Love. To hear the song and watch the video, click here. Macklemore is a talented rapper. He really packs an emotional punch into his songs, and this particular song has so much wrapped up into it that it is difficult to discuss in an appropriate way. It has nearly 47 million views on Youtube and it is being played on the radio over and over again. I think Macklemore makes some good points in this song. Christians have become numb to the hurtful things they are saying, and it is damaging our witness. “That’s gay” and “What are you, gay?” get dropped daily and we must be more sensitive to the language we are using. Why is gay synonymous with lesser? Should it be? Is this a loving way to influence our unchristian friends? Christians must strive to do all that they can to season their speech with salt, and do all that they can to be gracious (Colossians 4:6). We’re living in a country consisting of people who don’t know their right hand from their left (Jonah 4:11). Is it any wonder that people are being given up to “dishonorable passions” (Romans 1:26)? This is just another step in the cycle of iniquity. Men, in the debased nature of their minds, run after that which is unnatural and is in direct disobedience to the constraints of nature God has placed on them. Homosexuality is a heinous sin, against nature, and against God. Macklemore picks and chooses whatever he wants out of the biblical text as if he was at Olive Garden deciding that he would like the linguini, and how on earth could he ever eat anything as distasteful as the spaghetti?? But we can’t treat the Bible that way. “ALL Scripture is breathed out by God and profitable for teaching, for reproof, for correction, and for training in righteousness…” (2 Timothy 3:16). That means we are called to listen to the whole corpus, not jack specific texts out of their context. Sinful people will always want to cast off the restraints that God has put on them. When Eve heard the hissing of the snake it was no different. The serpent said, “YOU can be your own God.” Things haven’t changed much, have they? You cannot be a Christian and be an unrepentant (repentance involving true sorrow and turning away from sin) homosexual. So much is clear from the biblical text (while this post doesn't go into many passages, here is one that does). We are not paraphrasing a book written 3500 years ago (which is a factually inaccurate statement anyway). Shall we sin that grace may abound? No. Homosexuality is a sin, and God’s law constrains those who love him to turn away from it. We have been given the Spirit of God, the Spirit of power who raised Jesus from the dead. That Spirit is able to purify us from dead works to serve the living God. That Spirit is the guarantee of our inheritance. The Spirit was given for our sanctification. He makes the changes. There CAN be changes. I know this from experience. Though all humans are the offspring of God, God doesn’t love all human beings with a salvithic love: “Jacob I loved; Esau I hated.” These are strong words. God has a special love for his elect, predestined out of every tribe and nation that he will give his Spirit to; to set them free from the dominion of sin. Jesus told a parable about a man who found a pearl in a field and he sold all that he had to buy that pearl. Jesus said that that was like the kingdom of God. We’ll give up ALL to follow our savior and our king. Homosexuality is a spell for sadness, as is all sin in an unrepentant heart. The only true satisfaction rests in Jesus blood and righteousness. He loves us enough to restore fallen natures, though we were out of line with God, and dead in our nature. Praise him! There is victory over a homosexual lifestyle. Will that mean life changes? Yes. Will that mean struggle? Yes. But you’ll give it all up, counting everything else as rubbish for the sake of knowing Christ. For those who forsake their lives to follow Christ, there isn’t crying on Sundays. There is rejoicing, delighting, enjoying, and thanking God for his precious gift of Jesus Christ! When we give up our lives and believe that Jesus Christ was raised from the dead to forgive our sins and to crucify the dominion of sin in our lives, we find that he is patient and kind, and God is a tender father who knows our frame, and knows that we are dust. He knows that we are sinners, and Jesus has been tempted in every way that we have, yet never sinned. Would you give up all fleeting passions for the sake of knowing Christ? If you are a Christian struggling with homosexual desires, consider the Spirit’s power in your life, the things freely given you by God in Christ, and continually count yourself as dead to sin and alive in the savior; our only hope, our resting place. Where else would we go? It is not hate to warn people of the judgement to come. But we must also warn with love, tears, gentleness, and patience. Not out of anger and disgust. Let's watch our language, but let's also stand firm. Should the Gospel be in Every Sermon?